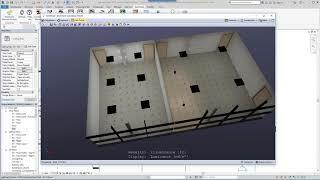 ElumTools™ is the first fully integrated lighting analysis Add-in for Autodesk® Revit®. Leveraging content that is already present in the Revit model such as geometry, material properties and lighting fixture families, ElumTools can calculate illuminance on any surface or workplane using the lighting industry’s standard radiosity calculation method. An interactive visualization is provided during the calculation process allowing detailed navigation of the illuminated scene. Numeric results are visible in any Revit view and all statistics are available to Revit schedules. See our website for the latest enhancements and changes. Elumtools just keeps getting better and easier. This is a must have for any lighting designer working with Revit models. Makes the accurate visualization and photometric analysis workflow extremely easy. This allows you to craft better lighting for buildings by reusing the architect's existing and most up to date assets!